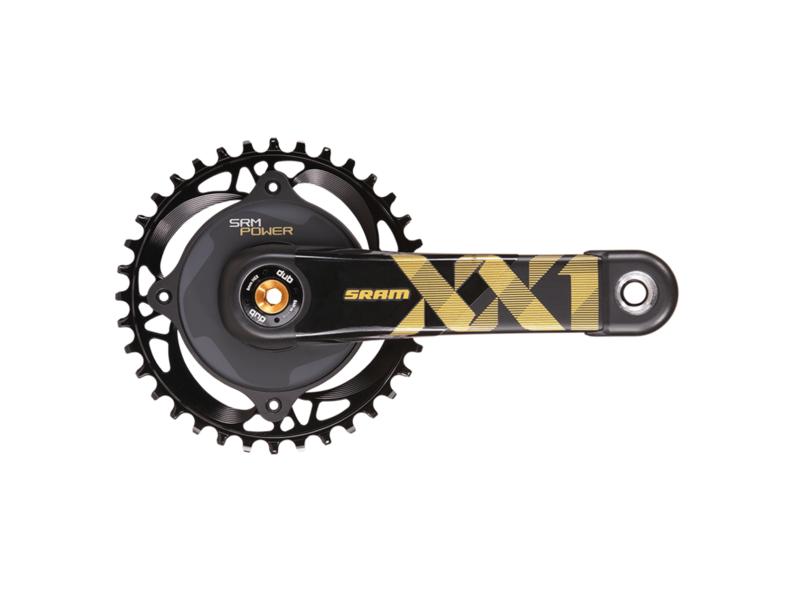 The SRM SRAM XX1 MTB Power Meter combines world–renowned SRM power measurement technology with SRAM’s best in class XX1 drivetrain. Completely sealed from the elements, the 1X MTB SRM Power Meter can be used in the nastiest, muddiest conditions without fail. The power meter allows for 700 hours of worry-free battery life and is available in a 104 BCD spider design for rings ranging from 32-36T. This SRM power meter uses the SRAM Durable Unified Bottom Bracket (DUB). DUB bottom brackets are available in BB30, PF30, BSA (threaded), PF89/92, as well as fat bike standards. Contact us if you have questions on the compatibility for your bike.